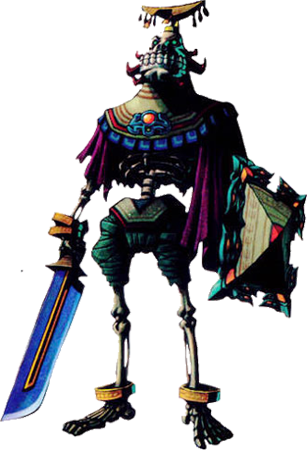 Igos du Ikana is one of the scary Zelda: Majora’s Mask bosses, and has to be fought in the Ancient Castle of Ikana dungeon there after his undead servants are defeated. Igos is a pretty though enemy and will even take off his head during the battle to scare you 🙂 Before he battles Link, he will just sit there on his throne just like Golden-Whale drew him for Link’s Blacklist and watches the battle against his servants. 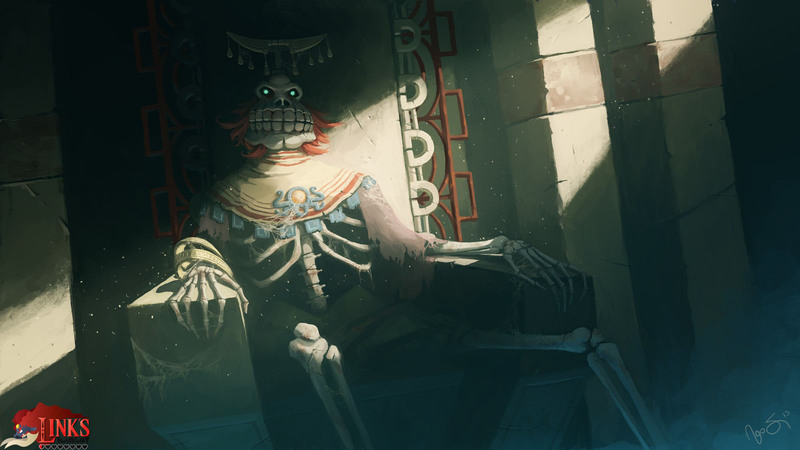 I must admit i never played Majora’s Mask ..but artworks like this one make me want to do that as fast as possible. “I chose to paint Igos du Ikana because he made an impression in my memory. I remember the first time I entered the throne room there was this intense dark and moody atmosphere that I could feel. His persona as well, he seemed so imposing in his stature, to be the king of this strange undead land. 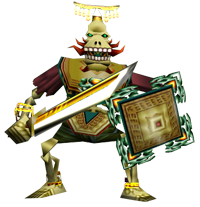 Also the fact that he was one of the hardest bosses from the series for me!